The Vmware 6.0/6.5 packs from the automation store are unfortunately not 100% failsafe, I discovered today. 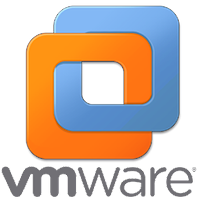 These are the fixes I added to make it work with Vmware 6.5. I have NOT tested it with 6.0, maybe the fix is only needed for 6.5. I also talked to engineering, if they adapt my fixes, I'll update this post to not add any confusion. The vcenter datasource works fine, until you hit a special character. The command fails when you want to move the new datastore to a folder (in vcenter). The new PowerCLI from vmware has finally adapted to "Modules" instead of "Snapins". If you hit any errors regarding snapins, then goto %PROGRAMS%/Netapp/WFA/Posh/Modules/WFAWrapper. Open the wfawrapper.ps1 and replace Get-PSSnapIn with "Get-Module" and Add-PSSnapIn with "Import-Module". can the datasource be modified to collect data for only one datacenter? To reduce the scripttime ? Sure that should be possible.